Where to go full Kevin McCallister on a plain cheese. More often than not people are overcome with excitement in the pizza-making process, deciding that the best option is to throw down as many ingredients as possible in order to reach the destination of maximum flavour. The key is to keep it simple. No hotdogs stuffed in the crust, potato wedges on top or puff pastry as the heart and soul. What you really need is great produce, great cheese and a raging oven. 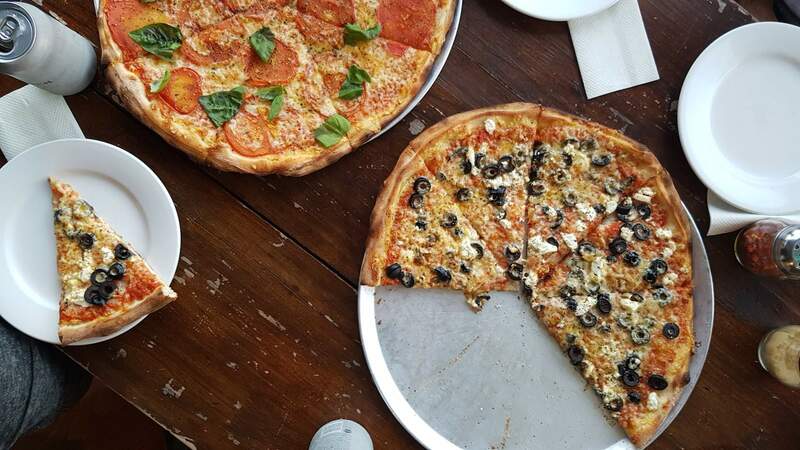 With so many variations and preferences of the classic dish, we attempted the task of outlining the best places to grab a slice, or a metre, in Auckland. The ethos of Grey Lynn's Epolito's is to kick it back old school, don't forget your roots my friend. 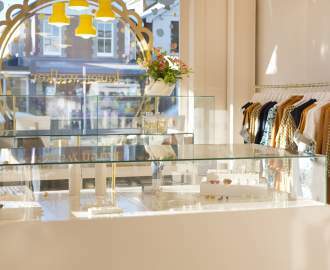 For owner Chickalena Rose that means a nod to her upbringing in small town New York. Trained by a Sicilian family friend, Chickalena's pies are classic NY style — oversized, crisp slices kept simple with minimal toppings. Our favourites include the Meatball, which uses a secret family recipe; the On Madison, a combination of black olive, roasted garlic and feta; and the classic margherita. All are best accompanied with beer and good friends on the sidewalk. The pizzeria is a very welcome addition to the neighbourhood after moving from Onehunga. 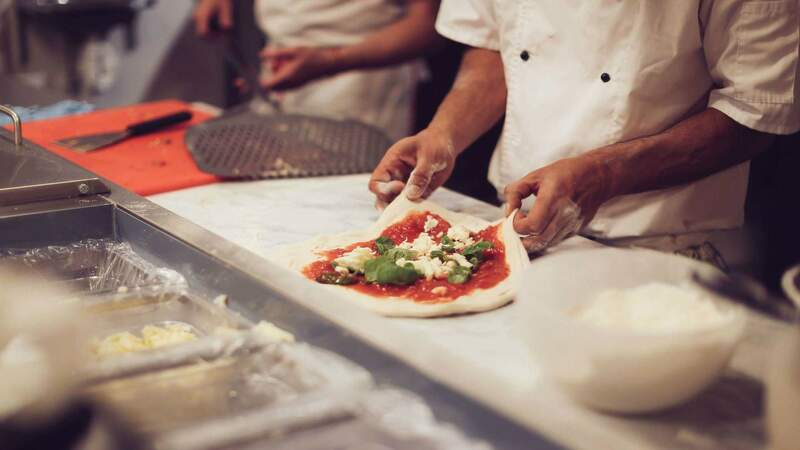 As well as being packed full of flavour and fresh ingredients, Toto's pizzas are the largest in the Auckland region — orderable by the metre. The giant slabs clock in at 20 pieces from $38-54 and would be enough to feed an entire busload of pizza munchers. They have 12 varieties, including classics like margherita and marinara, pugliese (capers, olives, anchovies, feta), and salsiccia (pork fennel sausages, spiced broccoli, mozzarella). Be sure to get your takeaway order in quick on the weekends, and don't forget the car to carry the mammoth pie home. 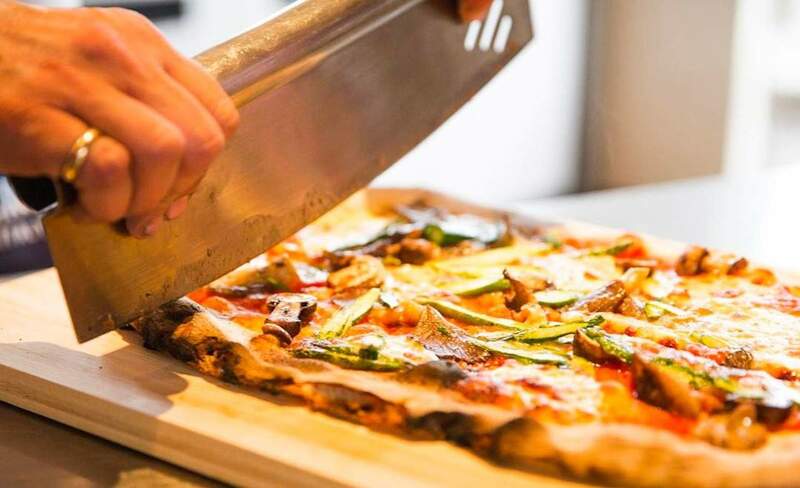 Located in Ponsonby Central and Takapuna, Dante's is certified by Associazione Verace Pizza Napoletana, a movement which aims to promote and protect the magic that is Pizza Napoletana. With a national prize-winning pizza chef and four consecutive titles as Metro magazine's 'Best Pizza', Dante's must be doing something right. Their dough rests for four days before being placed for 90 seconds into the traditional wood-fired oven that hums at a breezy 400ºC. The straightforward menu offers six simple options with ingredients all sourced direct from the motherland. The crust has a tendency to take up one quarter of base space so if you're looking for maximum cheese coverage, look elsewhere. 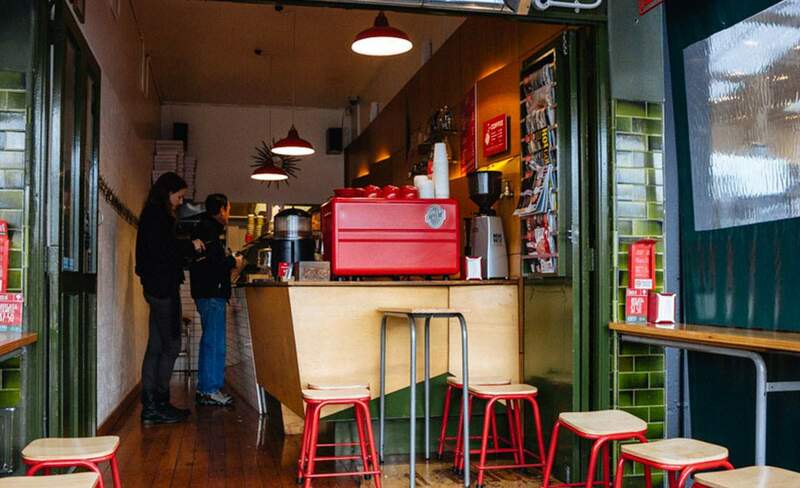 Ponsonby's Farina is also the brainchild of Sergio Maglione, the name behind Toto'. It is pared-back Italian cuisine, heavily influenced by street food from the motherland and, as owner Sergio Maglione promises, "always fresh and simple". Previously hosting Toto's legendary pizza on the menu, Farina now cranks out its own thanks to a legit Valoriani oven. The restaurant is now also part of the APVN, meaning they only use traditional ingredients and processes. 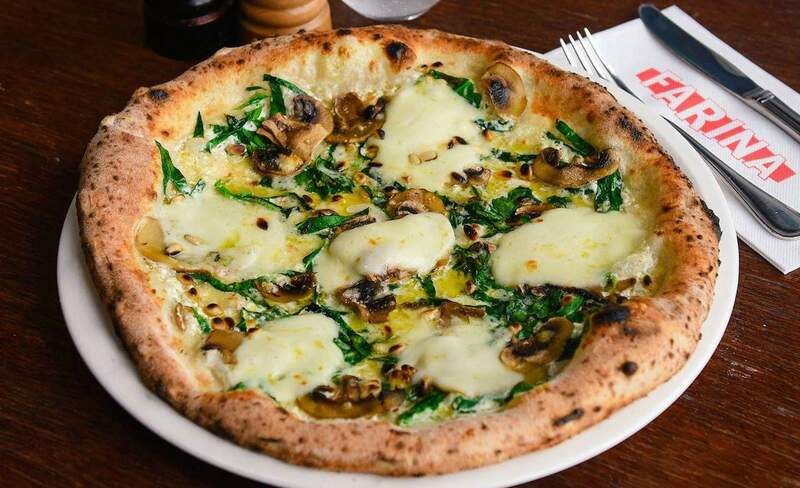 The above beauty is the Boscaiola, a mix of mushroom, mozzarella, cream, spinach, pine nuts and truffle oil. 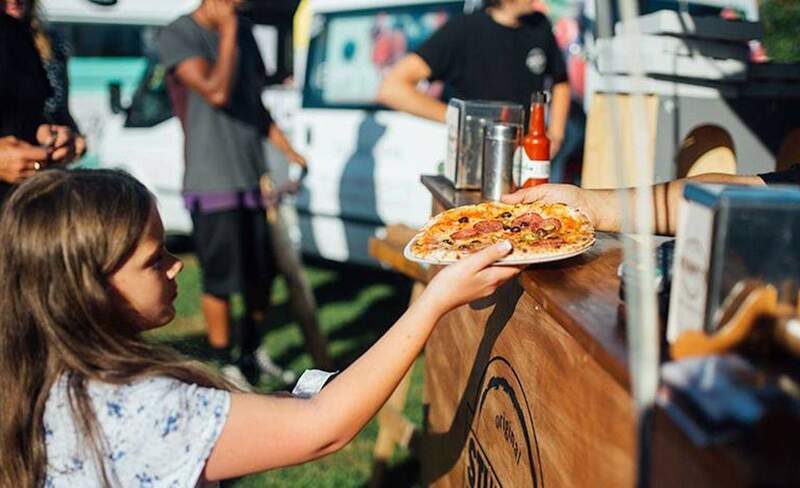 You've probably unknowingly wolfed down a slice of Stumpy's while attending a music festival or market around the city. As well as the roving food truck, the pizzeria has its own physical store on Dominion Road, hiding between the dumplings. The bases are crispy in all the right places and boast a big puffy crust that acts as the perfect handle to manoeuvre your slice. Price-wise, Stumpy's is one of the best (unless soulless chains are more your style). A large margherita will set you back $13 while a pepperoni maxes out at $16 — including the flashy additions of Italian salami, Kalamata olives and jalapeños. 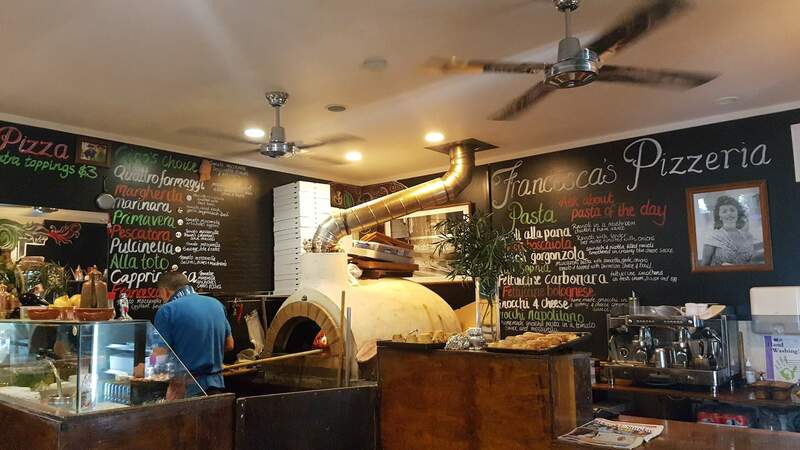 A visit to Francesca's is like walking into someone's lounge that also happens to be inhabited by a woodfired pizza oven. The humble pizzeria is run by an Italian-born chef who will make you feel extremely welcome upon entry. There are no smoke and mirrors with menu offerings. Each pizza base is hand stretched to order, by the chef's watch, and come out with smoky edges and occasionally in a mutant of a circle — they often struggle to actually fit in the box. For Francesca's margherita the sauce is just as prominent as the cheese — you'll thank me later for the extra cheese recommendation. Be sure to keep you pie as flat as possible on the journey home to avoid the dreaded slop in a box. Call ahead. 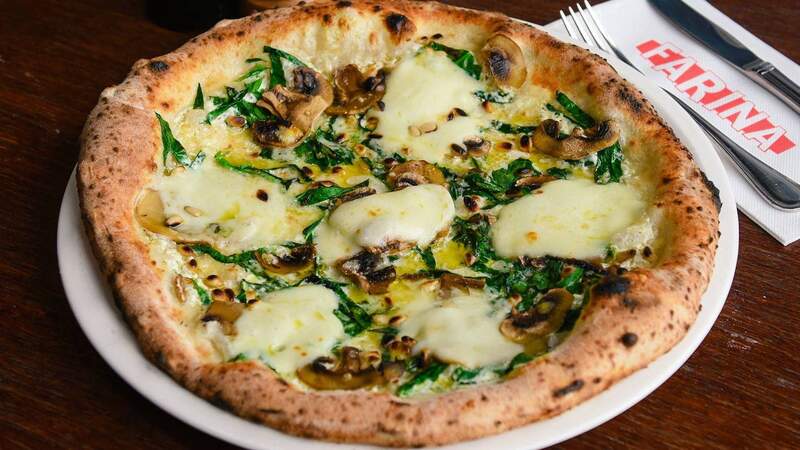 Makers of classic Napoletana-style pizzas, Al Volo are so good they've even been listed as one of the top ten authentic woodfired pizzerias in the world (outside of Naples). They're not greasy, the bases are crispy in all the right places and they use the best ingredients possible. There are 38 varieties to choose from, including a straightforward garlic focaccia to the more elaborate Contadina with asparagus and egg. It's also the perfect spot to grab a slice before heading over to their neighbours the Powerstation for a gig. Il Buco create a traditional Roman Pizza al Taglio (pizza by the slice), so it's pretty much ideal if you need something to tide you over until the next meal. Owner Johnny typically has 30 different varieties of pizza on offer, partially cooked and displayed for you to select before they're given an extra hoon in the oven. Alternatively, you could take it home and do all the hard work yourself. And, at $6 per slice, both your wallet and stomach will be giving you a pat on the back. 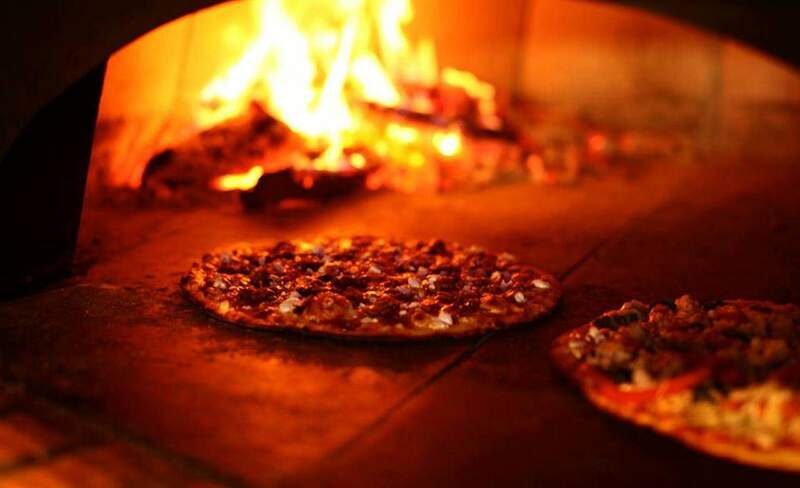 Papa's has been serving its handmade wholemeal pizzas for over 28 years. The pizza bases are a mildly healthier option than your conventional dough, yet still come with the joyous combinations of cheese, sauce and multiple toppings. They come out of the oven both crispy and soft and can be ordered in 22 flavours (spanning all meats) and two sizes: regular and large. The glorious outdoor courtyard is also now home to a woodfired pizza oven, giving you even more options. NSP is another affiliate of Toto's, launched by Antonio Crisci (the uncle of Toto's Sergio Maglione). The Parnell institution has been a regular contender for the best Italian in the city with its extensive menu. 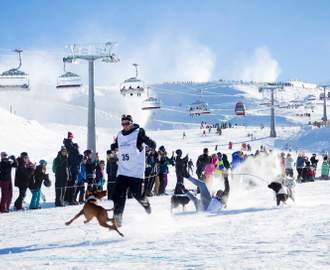 There are ten sections to work through, from fresh seafood to antipasti, pizza and dessert. The pizzas use basic ingredients and are again wood-fired so they come out both crispy and soft, with a touch of smokiness. 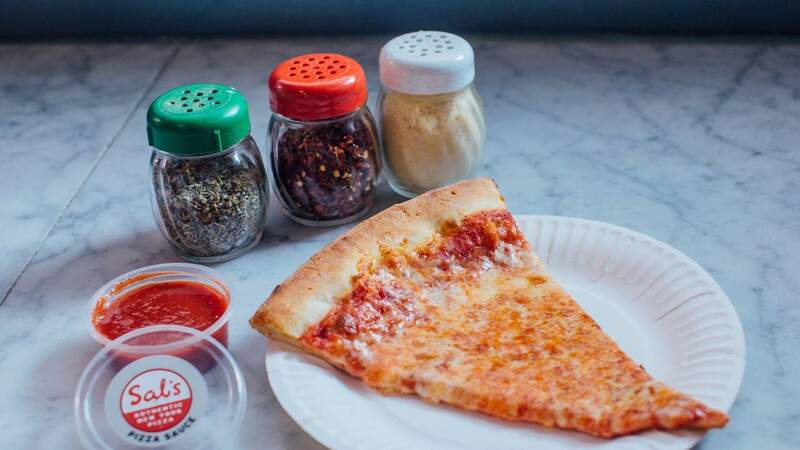 Sal's has taken off since its launch in 2009. The by-the-slice or by-the-whole pizzeria is the ultimate pre and post-drinking snack spot to go full Kevin McCallister on a plain cheese. While Sal's has the tendency to result in grease dripping down your wrist, the taste factor is big here. More so when you take advantage of the complimentary chilli, oregano and parmesan. The toppings are simple and the classic cheese is always a winner. Pane & Vino means bread and wine — which already gives them two thumbs up in our book. The Williamson Road establishment is run by a friendly gentleman by the name of Tito Cucciniello, who serves up regional Puglia dishes that he learnt from his mother. You won't be stuck for choice, with 39 options available, including the closed calzone and ripena varieties and 'white' pizza with no base sauce. Even if the pizza wasn't great, we'd still visit this place for the atmosphere.